Everybody has heard about the amazing curative characteristics of Aloe Vera. You can even grow your own Aloe Vera plant and be sure that you always have it by your side in cases of an emergency. Did you know that this plant is not used only topically? 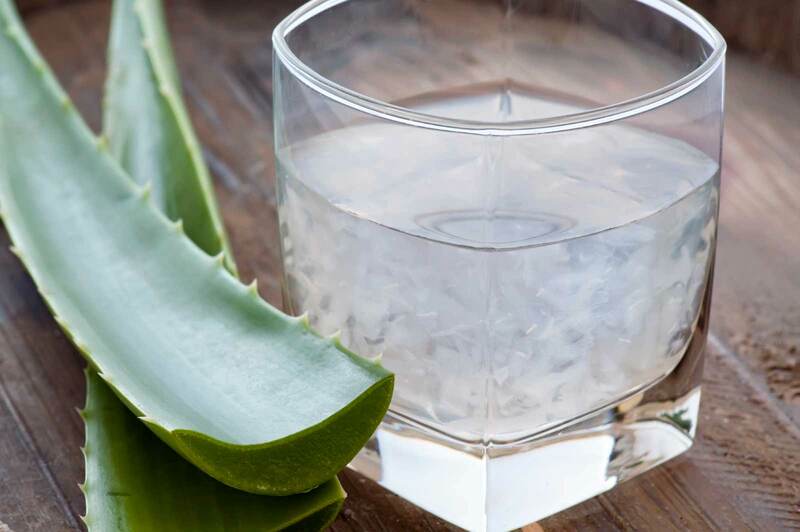 Have you ever tried Aloe Vera Juice? Its internal usage is even more beneficial. I bet you even passed by the big, unappealing jar of Aloe Vera juice in the supermarket thinking how gross it is. However you must not judge the book by its cover. Therefore give the Aloe Vera juice a try instead of buying other drinks full with sugars. And here we will tell you why you should try this magnificent juice. The list of important reasons why you should drink the Aloe Vera juice daily is enormous. The most essential reason is that the Aloe Vera juice can help in the natural detoxification of the body. Therefore drinking the Aloe Vera juice should become a part of your routine on a daily base. Aloe Vera has been used to treat many diseases for more than 6000 years. In ancient Egypt it was known as “plant of immortality”, because wide usage. Taking raw Aloe Vera juice internally can really make a difference. By drinking this juice you will improve the work of your immune system making it stronger than ever. According to a research from the “Journal of Environmental Science and Health” the Aloe Vera contain Santi-bacterial, anti-fungal and anti-viral characteristics that help the immune system in the detoxification of the body. It cleans the body from the body toxins and lots of invading pathogens. Around 20 minerals can be found in the Aloe Vera juice. Among them are: calcium, magnesium, zinc, chromium, selenium, sodium, iron, potassium, copper and manganese. In order to boost the enzyme metabolic pathways, these minerals act together. However minerals such as zinc act as antioxidants. The role of the antioxidants in your is very important. They rise the enzyme activity and ensures the detoxification of the body by cleansing it from the metabolic wastes. Lipase and amylase are two of the enzymes that this plant contains. These two, when taken orally help the digestion by catalyzing the sugars and the fat. One particular inflammatory mediator, bradykinin, is extremely important for your body, because it helps to reduce the excessive inflammation. 20 of the 22 amino acids that are important for the body are part the Aloe Vera juice. It also contains Salicylic acid, which is extremely important in the fight against inflammations and bacteria (as you know aspirin was formed on the basis of salicylic acid). Aloe Vera has vitamin B12 and is one of few plants that contains this compound. This makes the Aloe Vera very important for the humans’ body. Vitamin B12 plays an important role in the erythropoiesis. The Aloe Vera also has many other vitamins (E, C, A, folic acid, choline, B6, B2, B3 and B1). Now it is important for you to know that vitamins A, C and E are very important because they aid in the cleansing of the body from the free radicals, and the B group vitamins and choline are essential for amino acid metabolism. Aloe mucilaginous polysaccharides (AMP) are compounds which consist of sugar molecules (glucose and mannose) connected in chains. Approximately 200 of these AMP compounds are found in this plant. These ingredients are the ones mostly responsible for the healing properties of Aloe Vera. It is important for you to know that they perform many key functions in your body. These ingredients act as anti-inflammatory agents. They also have an anti-bacterial and anti-viral effect. In addition they enhance the immune system functions such as promoting the tissue growth and improving the cellular metabolism. You should know that Aloe Vera is one of the best body cleansers. The Aloe Vera can cleanse toxic material from the kidneys, stomach, bladder, spleen, liver, and is the most active colon cleanser. According to some studies the Aloe Vera juice exhibits curative and soothing characteristics for the relief of stomach problems, indigestion and ulcers. By drinking the Aloe Vera juice you can help your body relieve the tissue inflammation which often causes joint pain and even arthritis. The Aloe Vera juice can also build up your digestive tract, your skin and it also has an astonishing effect on your whole body. In order to see all the amazing benefits of this juice, all you need to do is drink a full glass of Aloe Vera juice at least twice a day. This magnificent juice will help you get rid of any waste products. Therefore it will detoxify your body the natural way.